Saumur. His parents started him on the violin when he was six, but two years later he gave it up in favor of (what else? ) the piano! His classical training began at the age of nine, and a few years later he joined the Nantes Conservatory, where he won prizes for piano and composition. In his teenage years, he discovered and taught himself jazz and improvisation, performing his first concerts at the age of sixteen. Academy awarded Baptiste the Prix Django Reinhardt, an annual award given to the jazz musician of the year. He began to make fewer and fewer appearances as a sideman, performing instead with increasing frequency both with his trio and as a solo artist at international jazz festivals, including: Jazz in Marciac, Montréal, La Villette Jazz Festival, Vienna, Nice, Montreux, Vancouver, Toronto, Ramatuelle, Parc Floral de Paris and Nancy Jazz Pulsations. «top choice» in Jazz Magazine), by the buying public (over 15,000 copies sold) and concert-goers ( La Roque d’Anthéron Festival, Piano aux Jacobins in Toulouse, Salle Pleyel in Paris, and many others). In early 2005 he released an excellent recording of a four-piece co-led by David El-Malek, the eponymous Trotignon – El-Malek was widely praised by press and public alike. October 25, 2005 witnessed the release of Solo II, a new studio album backed by a live DVD recorded at Piano aux Jacobins and an interview with Michel Contat, released as a digipack and limited edition longbox. Beyond simple genres, this latest solo album was a return to the spirit of his debut that confirmed Baptiste’s uncontested originality, as if such a thing had ever been in doubt. a musical homage to the period between the late sixties and early seventies. Without ever disguising their particular musical language, the three of them offered their take on a repertoire of pop songs and tracks written by Led Zeppelin, Pink Floyd and The Doors, as well as Gainsbourg and Polnareff. El-Malek; their musical journey has now produced a second album, Fool Time, released in September 2007. It’s a double CD live recording, again in the company of Darryl Hall and Dré Pallemaerts. Fall 2008 , his label Naive re-releases for its 10 years anniversary his first solo album brought together with a piano solo recital recorded Salle Pleyel in May 2008. 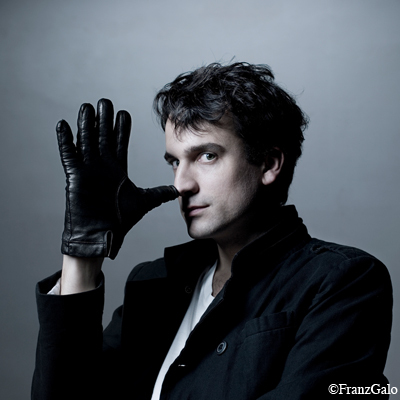 For this occasion, he takes part in Naive night at Theatre des Bouffes du Nord where he plays with Anne Gastinel notably. 2009 : new album recorded in New-York June 2008 , «SHARE» .